What does a chef cook at home on Saturday night when she's not working? The chef at Canopy Rose Catering, a popular Tallahassee catering company that has cooked for kings, presidents, governors and most of the Who's Who of Florida politics since 1994, likes to keep things simple. 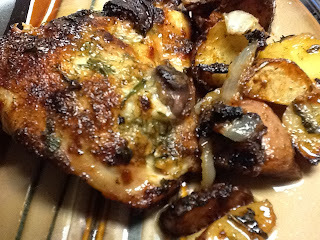 But even as simple as this rustic chicken dish was, Kathi's husband, the preacher, declared, "Now this is fit for a KING!" Step 1: Line pan with foil and spray. 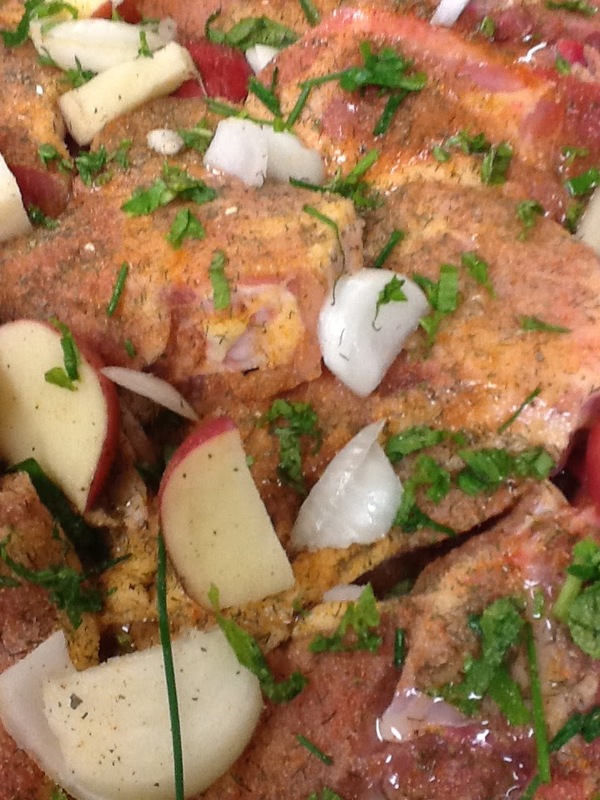 Step 2: Add chicken thighs. Drizzle with white balsamic vinegar and Canopy Rose Specialty Seasoning Blend. Step 3: Run out to the garden and snip some fresh herbs. 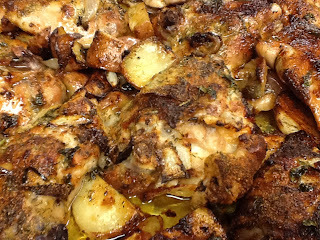 Chef Kathi used fresh basil, fresh chives, fresh thyme and fresh mint. Return to kitchen, wash and chop. Step 4: Chop Vidalia onion and Red Skin Potatoes and arrange with chicken on pan. Step 5: Drizzle with olive oil and dust with a bit more Canopy Rose Specialty Seasoning Blend. Step 6: Pop into hot oven. Step 7: Allow to roast at high temperature for the first 15 to 20 minutes or until lightly charred. Reduce temperature to 350 and continue cooking. 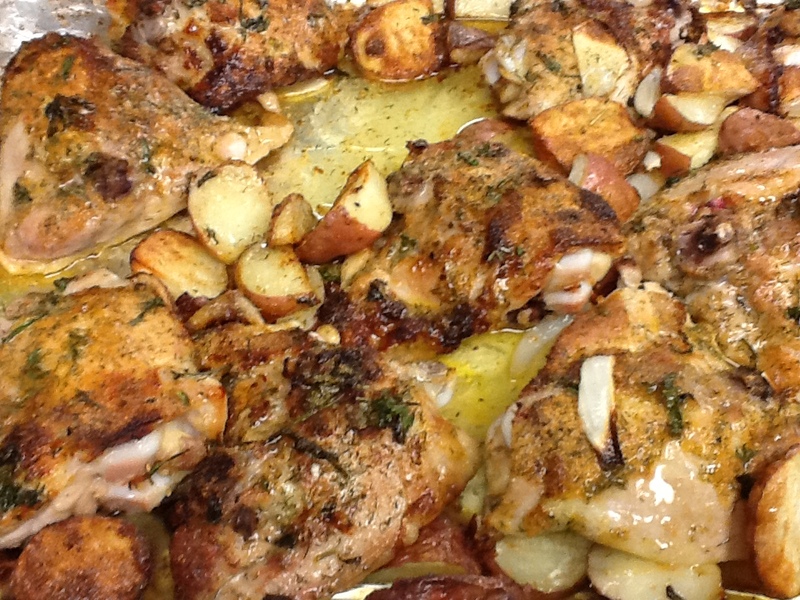 After the first 30 minutes, remove from oven to baste, then return to the oven for another 30 minutes or until done. Step 8: Remove from oven, baste with pan drippings, allow to sit for a few minutes. Plate and serve! This is a delicious one dish dinner.